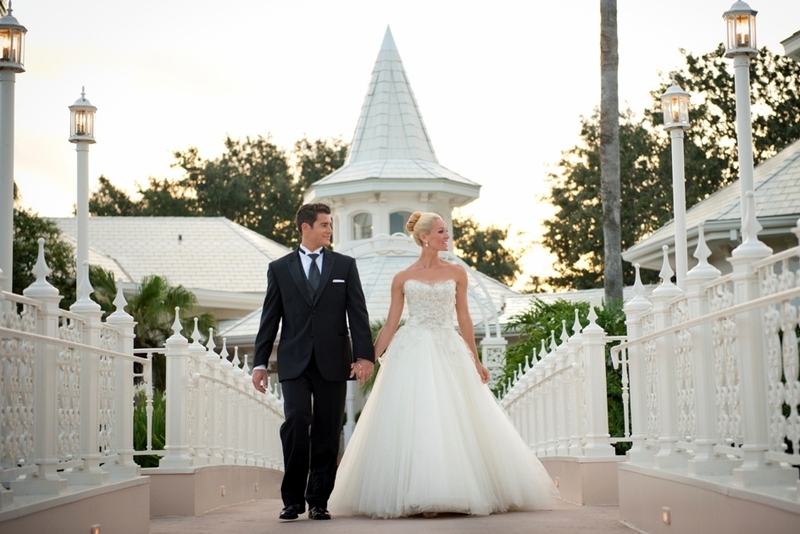 Disney’s Fairy Tale Weddings continues to be recognized as a top-ranked global destination for weddings and honeymoons. 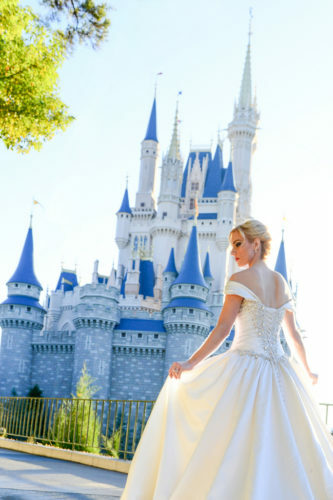 Disney’s Fairy Tale Weddings hosts 4,000 weddings globally each year. 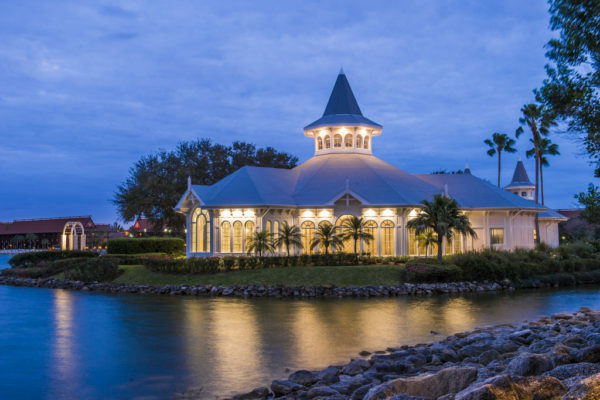 From castles to beaches, there are endless possibilities around the globe to celebrate nuptials, including the crown jewel, Disney’s Wedding Pavilion. Couples can even say “I do” in front of Cinderella Castle. 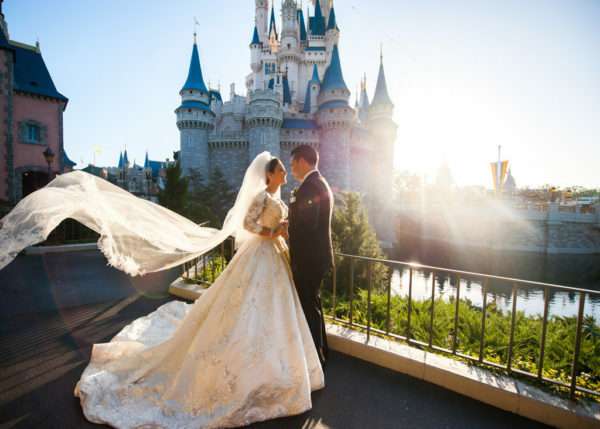 Imagine beginning your happily ever after inside the Magic Kingdom for an exclusive ceremony surrounded by magic and wonder of the iconic park. 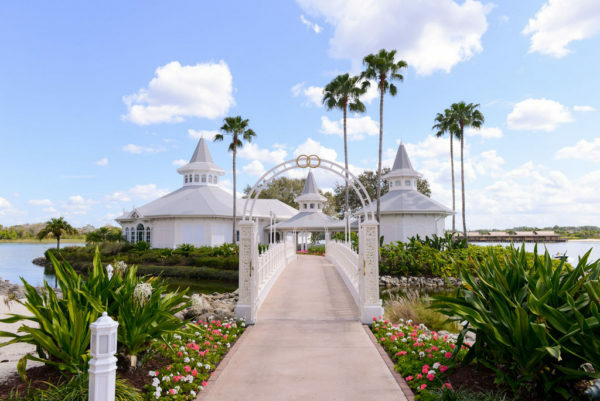 Couples have traveled from every state in the United States, and from international locations such as Japan, United Kingdom, Brazil and the Netherlands to get married at Walt Disney World Resort. 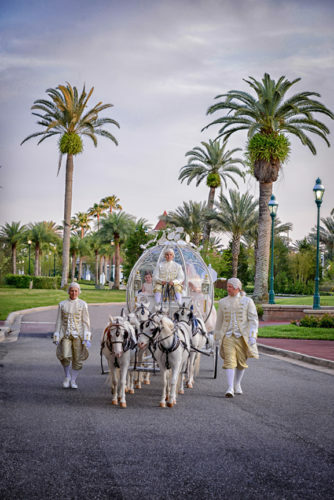 Couples can choose from an expansive collection of fairy tale transportation options to arrive to the ceremony including Cinderella’s Coach, a horse-drawn carriage, or vintage automobile. Six trained ponies pull the beautiful Cinderella’s Coach and when they’re not working, they can be found in the Tri-Circle-D Ranch stables at Disney’s Fort Wilderness Resort. 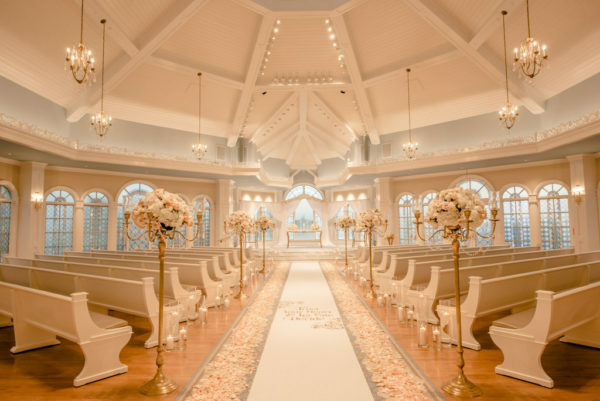 As part of the 25th anniversary of Disney’s Fairy Tale Weddings, the iconic Disney’s Wedding Pavilion was completely reimagined with elegant new decor and the addition of a gorgeous chandelier in the center. It remains the most popular location for couples to marry. Disney Imagineers designed Disney’s Wedding Pavilion to frame Cinderella Castle in two views: through the stained-glass window directly behind the altar and through Picture Point, an arch located just outside the pavilion. It’s a 75 foot walk down the aisle at Disney’s Wedding Pavilion. 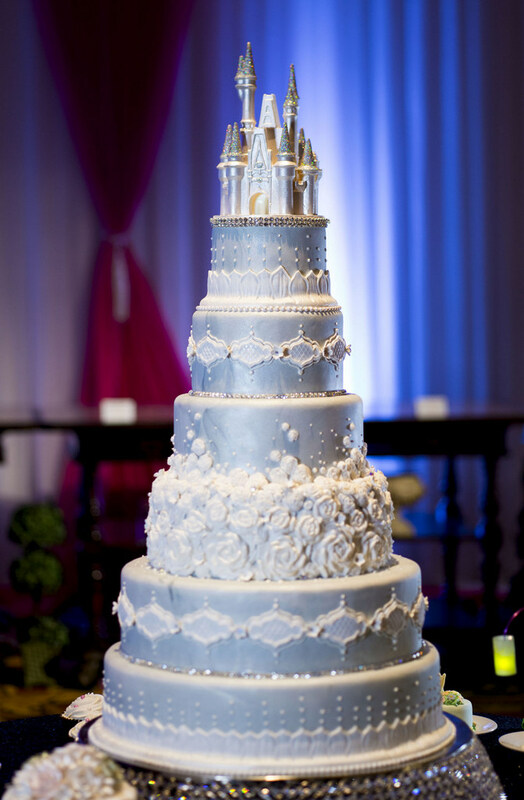 The tallest cake ever created for a Disney’s Fairy Tale Wedding towered at 10 feet tall. 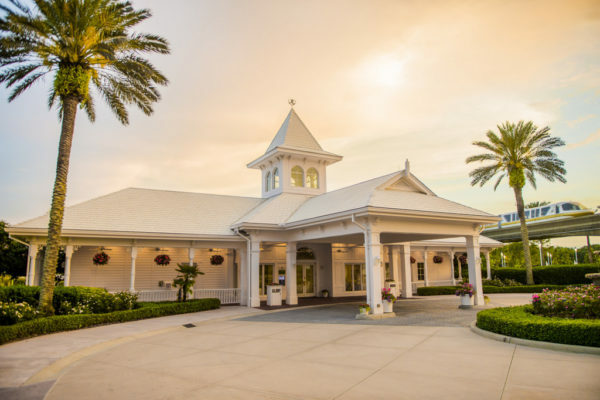 The first wedding at Disney’s Wedding Pavilion was televised live June 18, 1995, on Lifetime Television as part of its “Weddings of a Lifetime” series. Disney’s Fairy Tale Weddings & Honeymoons has been featured on “ABC Extreme Makeover: Home Edition,” Travel Channel, WE TV, Food Network, Cake Boss, The View, and Live! with Regis and Kelly, The Steve Show, and Wheel of Fortune. Walt Disney World is among the top destinations for proposals. The most popular places to ‘pop the question’ are Cinderella’s Royal Table at Magic Kingdom, or during Illuminations: Reflections of Earth near the Italy Pavilion at Epcot. 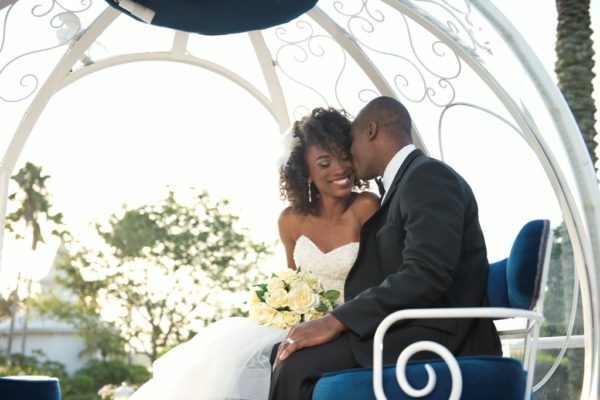 Disney’s Fairy Tale Weddings & Honeymoons has an online service that allows couples to create a registry for family and friends to gift an unforgettable honeymoon to Walt Disney World Resort, Disneyland Resort, Aulani, A Disney Resort & Spa, Adventures by Disney, aboard the Disney Cruise Line, or through Disney Vacation Club. In December 2010, Disney’s Fairy Tale Weddings & Honeymoons launched the Ever After Blog, the first Disney blog outside of the Disney Parks Blog. For the latest on the Walt Disney World Resort and other theme parks, attractions and more across the region, be sure to follow Touring Central Florida on twitter @TourCentralFL, @androckb, @Emmet_TCF, @JacobTouringCe1, and give our facebook page a like.